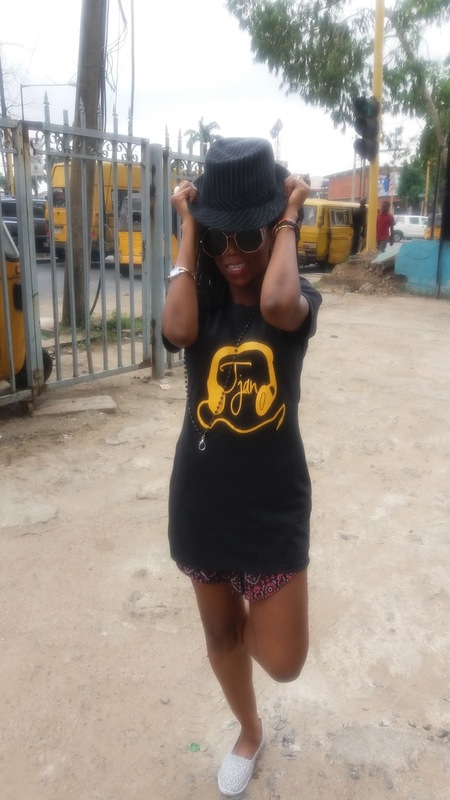 Tosyn Bucknor's Blog: #TomboyChic The oversized t shirt trend! I s.h.a.r.ed this picture of me wearing an oversized t shirt on instagram the other day and i got quite a number of people asking about it. When you are a short / small person like i am, getting a tshirt as a gift is always a gamble as most people send large or at best, medium. A medium tee for me is almost a dress so instead of fighting it, when i get a tee i like like the one pictured above, i just wear it. You can get away with the oversized top look if you follow the where and how. WHERE: This is obviously not the look for class or an important meeting. It is a look that can be casual or trendy. 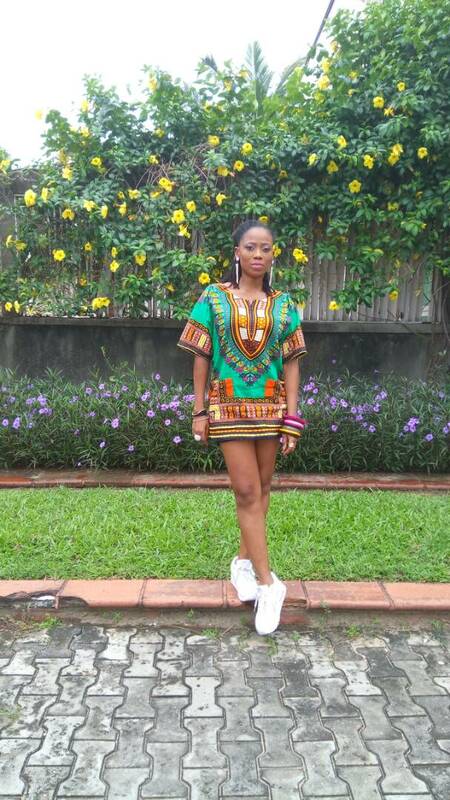 With the dashiki, i wore that outfit for Day 2 of a Youtube training. HOW: You can wear the trend either on its' own with a belt, or pair with shorts. 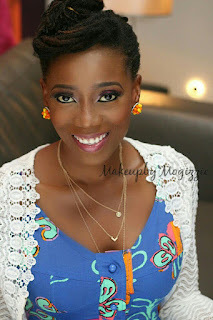 Flat shoes complete the look for me but if i wear to wear the dashiki at night, i would go all the way and rock some heels instead.